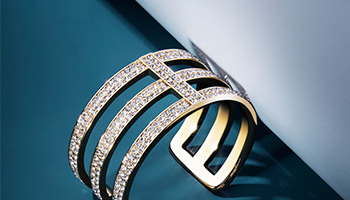 The watch is used with minimal sign of wear. The watch is in good condition and keeping accurate time. Time Keepers Vault - PLESE READ CAREFULLY BEFORE PURCHASING. 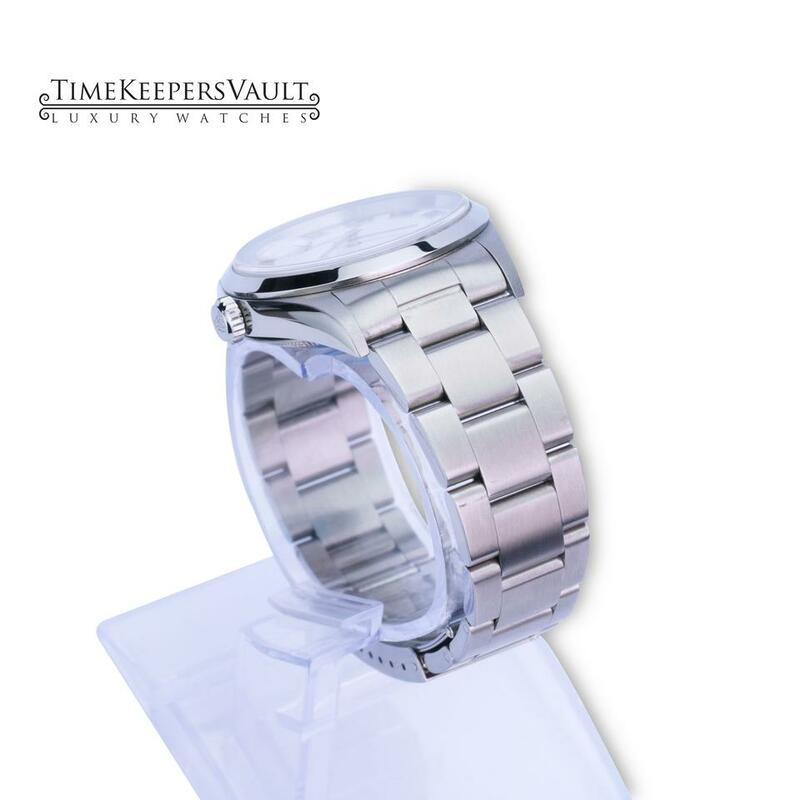 Why buy from Time Keepers Vault? 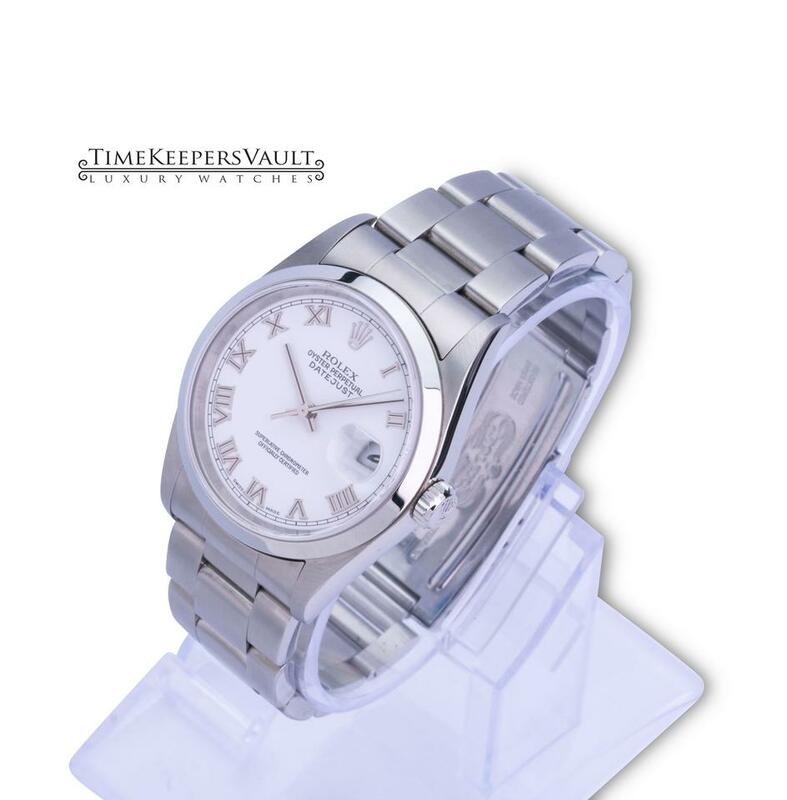 --- All our watches were checked and authenticated by a certified watchmaker with 45 years' experience in the industry. 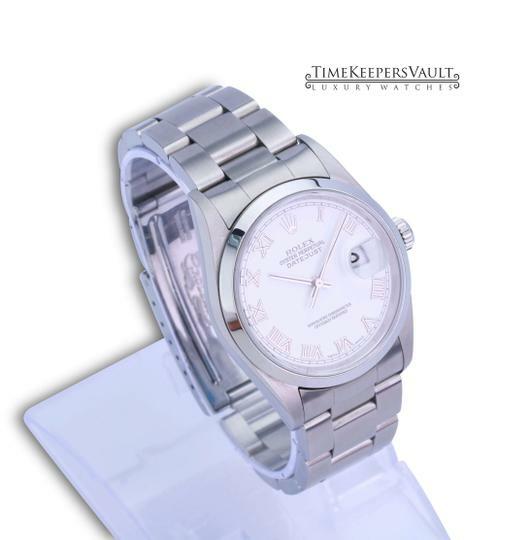 --- All our watches come with FREE appraisal report. --- We offer LIFETIME Upgrade - Buy a watch from us and if you decide to upgrade we will deduct few dollars and just pay the difference. Hassle Free! What should I do if my watch is not working? --- Nothing to worry! We offer 3-years WARRANTY. 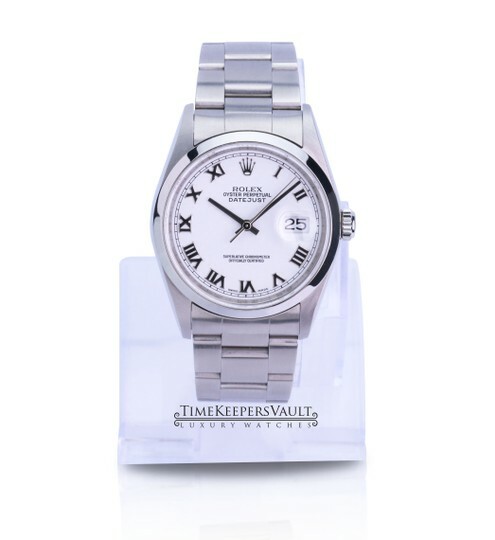 Just ship your watch back to us and we will take care. Why my prices are competitive in the market? --- Our business is family owned that's why we don't cover too much expense. The bracelet is stainless Oyster band and securely locks with a hidden deployment clasp with Rolex logo engraved. 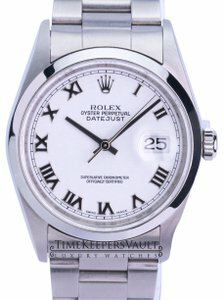 Since the watch is pre-owned there are some links missing. The band fits standard 7.5 inch wrist. 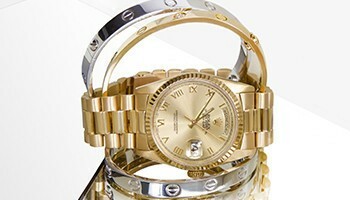 The movement of the watch is genuine Rolex. It is automatic and not run by battery. The watch is pre-owned but with very minimal sign of wear. It was polished and recently serviced to make sure the accuracy of time. The watch is clean with new sapphire crystal. The watch you are getting looks new. We guarantee that every watch we sell is 100% authentic. 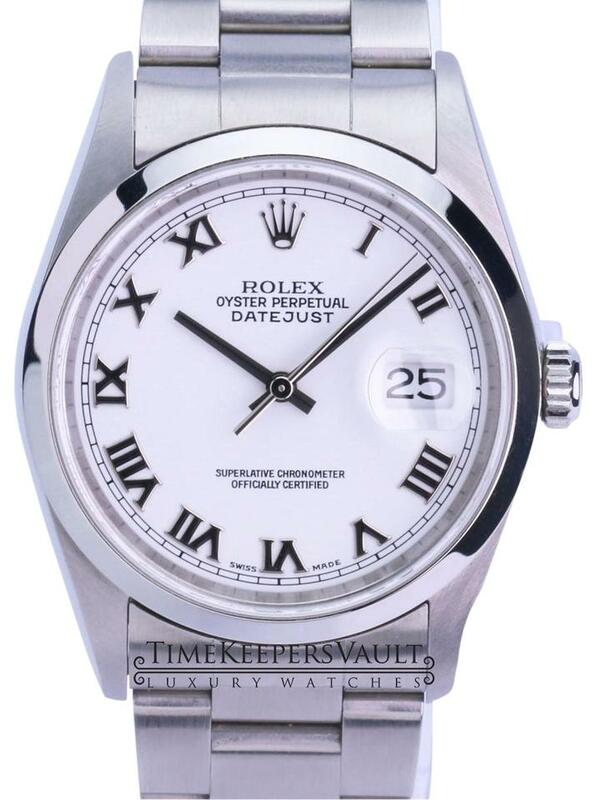 Every watch manufacturer imprints a serial number on each of their watches for identification. The serial number on each watch that we sell has never been altered or modified in any way. We guarantee that each watch we sell bears the original manufacturer's serial number, intact and without any alterations.